Bayer’s head of digital development, Jessica Federer, says the company is transforming its business and relationships through digital initiatives – but won’t lose sight of its core expertise. Andrew McConaghie reports. In the last few years, much of the talk in pharma has been about ‘disruptive innovation’ – the kind of new technology which upends the established order, in some cases making it obsolete overnight. Think Uber and licensed taxis, Netflix and traditional TV, Spotify and CDs. All of these have been digital revolutions, and all have seen the incumbents locked out of, or at least badly diminished in, the new marketplace. The pharma industry, too, is discussing if or when this might happen, and what the big players should do to stop themselves becoming the next Kodak or Blockbuster Video. It’s clear who the disruptors of pharma might be: data and technology companies now investing billions in developing new approaches to healthcare. Among the most notable are Google, which has launched its own R&D-based division Calico – aiming to conquer the ageing process, no less – and IBM Watson Health, which is harnessing data and artificial intelligence to help profoundly reshape healthcare decision making. Many pharma execs talk about this disruptive innovation with a mixture of excitement and fear: it could, indeed, revolutionise how healthcare is delivered. One step many big pharma companies have taken is to appoint dedicated digital teams and leaders, to try to understand these lightning-fast developments, and to actively adopt new digital technology in order to stay ahead of the game. At Bayer, the company is trying to integrate digital technology across the company, which spans three divisions: pharmaceuticals, consumer health and crop science. Jessica Federer is Bayer’s head of digital development, and one of the industry’s most high-profile evangelists for new technology and new thinking. 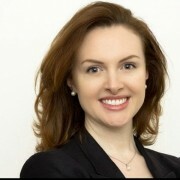 Jessica Federer leads Bayer’s digital development plans. But Federer isn’t here to stoke up the frequently giddy excitement and hype around digital transformation. She is, instead, keen to put digital in its proper context – and one day get people to stop talking about ‘digital this or that’ because it will be fully integrated into pharma’s business. “There is a lot of talk of change – and there is a lot of change – but we have to keep doing our ‘bread-and-butter’ work right,” she told the recent eyeforpharma conference in Barcelona. By pharma’s bread-and-butter work, she means, of course, the pursuit of excellence in R&D, regulatory affairs, reimbursement and marketing. Expanding on this idea after her address to the conference, Federer told pharmaphorum that the concept of ‘disruptive innovation’ is not the only force at work. One example of the need for ‘interoperability’ is in electronic health records (EHRs). These will be one of the foundation stones of the future ‘digital healthcare’, but their arrival is taking longer than expected in the US, thanks to a lack of ‘interoperability’ between rival commercial EHR platforms. This is just one of the major technical, and practical, issues of digital health that needs to be overcome but, as Federer says, it can only be solved through collaboration, not competition. Federer joined Bayer from the US Department of Health and Human Services seven years ago, having received a Master of Public Health degree from the Yale School of Public Health. This background in public health and government means Federer is naturally drawn to ‘big picture’ thinking, and is aiming for the greatest impact. She says digital technology can help the pharma industry focus on the most important goal: improving patient outcomes. She says Bayer is in a special position, as it can draw on ideas from across its three-division structure of ‘human-animal-plant’. Federer points to a groundbreaking digital initiative led by Bayer’s CEO of Crop Science, Liam Condon, to help farmers optimise use of seeds, fertilisers and pest control. However, there really is a danger of digital disruption of pharma, with the industry potentially pushed aside by more powerful incomers. This is likely to be through the data – whichever organisations or corporations control health data will control healthcare itself. That’s why pharma has to get its own digital transformation right. As in crop science, pharma is increasingly having to focus on delivering – or even guaranteeing – outcomes. Federer notes US hospitals are now being reimbursed on how they perform, and points to the recent ‘pay for performance’ deals Novartis struck with US health insurers for its heart failure drug Entresto. This is clearly going to be a key part of pharma’s business model in the future. One way it can improve outcomes, above and beyond the pill itself, is through better compliance. New digital apps and wearables to help patients track their health and medicines usage are now breaking through into the mainstream, and many companies have set up collaborations to study their use in real-life situations. Federer doesn’t disclose details of any joint projects the company is pursuing, but collaborations are on the cards. The company is already supporting digital health start-ups with its Grants4Apps Accelerator mentoring programme. Last year, the first batch of five start-ups was chosen to move into Bayer’s Berlin campus from August until December. The programme offers mentoring by entrepreneurs and Bayer experts, office space for 100 days, and funding of €50,000. This year, the company is repeating the experiment, but expanding the offer internationally, adding Barcelona, Tokyo and Shanghai as two further locations for this direct sharing and cross-fertilisation of ideas. Bayer is looking for projects related to its therapeutic areas, such as women’s health, cardiology, ophthalmology, haematology, oncology and radiology. However the company says it is also open to highly-innovative digital health software or hardware projects dealing with patient engagement, prevention, patient compliance, clinical trials, awareness or management of clinical conditions. Bayer is not alone in this kind of investment in start-ups, as others, such as Janssen, are also setting up international networks of innovation incubators. It is this sort of nurturing of broader innovation that these forward-thinking companies hope will pay off in the long term. To put it another way, particular to Bayer: it hopes the seeds it sows today in digital health will give it a bumper harvest to reap in the coming years. 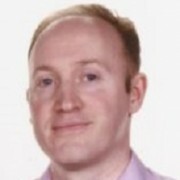 Andrew McConaghie is pharmaphorum‘s managing editor. 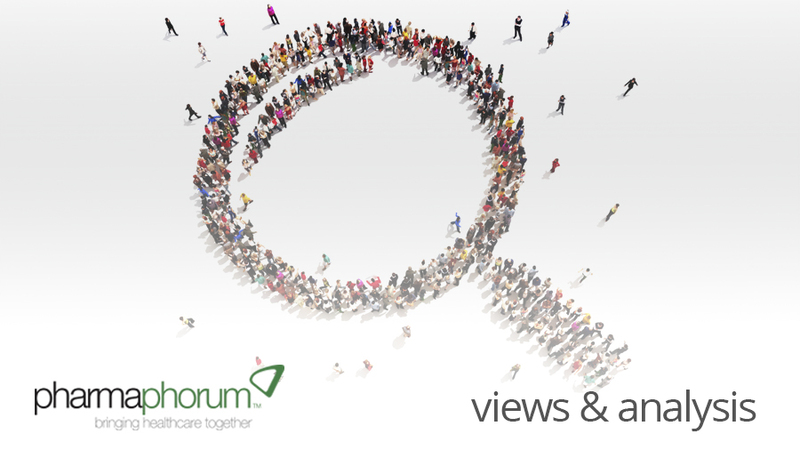 Contact him at mailto:andrew@pharmaphorum.com and follow him on Twitter.